Just two days after the race in Austin, the Movistar Yamaha MotoGP team heads to Termas de Río Hondo for this weekend’s Gran Premio de la República Argentina. Despite being ill last week, teammate and four-time World Champion Jorge Lorenzo still managed to take fourth at COTA. Currently holding fifth place in the championship, he hopes to return to a hundred per cent level of fitness for Sunday’s race where he will be challenging for another strong result, like his third place at the Argentinian track from last year. 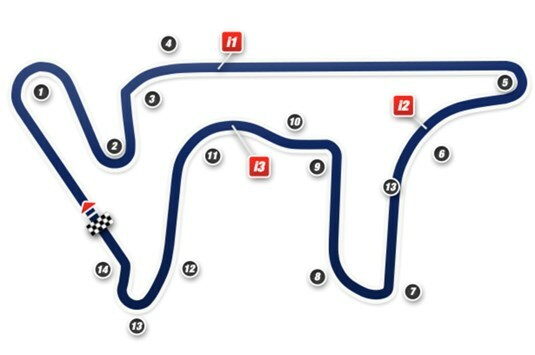 Though officially inaugurated on May 11, 2008, the 4.8km long Termas de Rio Hondo Circuit was not added to the MotoGP calendar until last year after it was remodeled in 2012. The re-design aimed to turn the track into Latin America’s most modern and safest circuit, providing fans with even more exciting racing action. With a fun lay out that includes a mixture of fast corners (five left and nine right) and a 1076m in length longest straight, this year‘s Gran Premio de la República Argentina is likely to be another showstopper. The Monster Yamaha Tech3 Team riders Bradley Smith and Pol Espargaro head down south to the Termas de Rio Hondo track in Argentina for round three of the 2015 MotoGP World Championship, fresh from challenging at the Americas Grand Prix in Texas. They will compete on the 4.8 kilometre Rio Hondo circuit which is a fast flowing and meandering track that is entering its second year on the MotoGP calendar. Britain’s Bradley Smith will be looking to continue his positive start to the year and intends to notch a third consistent strong result in the 2015 MotoGP season this weekend in Argentina. After battling to finish as the leading satellite rider, the 23 year old will once again take to the asphalt as he aims to consolidate his 6th position in the World Championship standings. Meanwhile Pol Espargaro, who suffered bad luck in Texas after failing to finish the race, will look to bounce back and fight with his teammate to be the fastest satellite MotoGP rider. The 2014 MotoGP rookie of the year finished in 8th position last season, but is confident of beating this result and speeding to a top finish in South America. It’s already time to move on and travel to Argentina as the riders of Athina Forward Racing team will be busy this Sunday on the track of Termas de Río Hondo. After the difficult ending in Texas, Stefan Bradl and Loris Baz are looking forward to get back on track to collect their first points of the season. The German, who was close to victory in the Open category in Austin but was forced to retire after a contact with Miller, made a big step forward and is convinced he can do well. Loris Baz is feeling confident even if he does not know the Argentinian track at all and will ride on it for the first time on Friday for the free practice session.